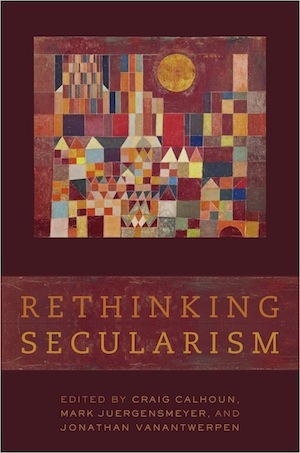 Excerpted from chapter one of Rethinking Secularism (Oxford University Press, 2011). We live in a world in which ideas, institutions, artistic styles, and formulas for production and living circulate among societies and civilizations that are very different in their historical roots and traditional forms. Parliamentary democracy spread outward from England, among other countries, to India; likewise, the practice of nonviolent civil disobedience spread from its origins in the struggle for Indian independence to many other places, including the United States with Martin Luther King Jr. and the civil rights movement, Manila in 1983, and the Velvet and Orange Revolutions of our time. But these ideas and forms of practice don’t just change place as solid blocks; they are modified, reinterpreted, given new meanings, in each transfer. This can lead to tremendous confusion when we try to follow these shifts and understand them. One such confusion comes from taking a word itself too seriously; the name may be the same, but the reality will often be different.